Benjamin Gratz Brown (May 28, 1826 – December 13, 1885) was an American politician. He was a Senator, the 20th Governor of Missouri, and the Liberal Republican and Democratic Party vice presidential candidate in the presidential election of 1872. Born in Frankfort, Kentucky, Brown established a legal practice in St. Louis, Missouri. Both of his grandfathers, John Brown and Jesse Bledsoe, represented Kentucky in the Senate. After settling in St. Louis, Brown won election to the Missouri House of Representatives. He became an ally of Thomas Hart Benton and Francis Preston Blair Jr. in the struggle for control of the state Democratic Party against pro-slavery forces. As the 1850s progressed, Brown continued to speak against slavery, and he helped found the Missouri Republican Party. During the Civil War, Brown worked to keep Missouri in the Union. In 1863, he was elected to the Senate as a member of the Unconditional Union Party. In the Senate, he aligned with the Radical Republicans and opposed many of President Abraham Lincoln's policies. He was part of a movement that unsuccessfully sought to replace Lincoln as the 1864 Republican nominee. After the war, Brown strongly opposed President Andrew Johnson's Reconstruction policies and supported the Freedmen's Bureau bills. Brown resigned from the Senate in 1867 but helped found the Liberal Republican Party in 1870. 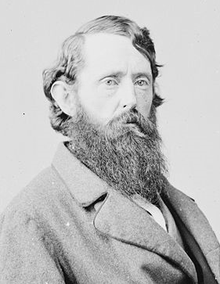 The party chose Brown as its nominee for governor, and he defeated incumbent Republican Governor Joseph W. McClurg. Brown sought the new party's 1872 presidential nomination but was defeated by Horace Greeley. After the nomination of Greeley, the 1872 Liberal Republican convention chose Brown as the party's vice presidential nominee. Seeking to avoid splitting the vote of opponents to President Ulysses S. Grant's re-election, the 1872 Democratic National Convention subsequently nominated the Liberal Republican ticket. The Republican ticket nonetheless triumphed in the election, as Grant won 55.6% of the popular vote and a majority of the electoral vote. Greeley died after the election but before the electors officially cast their votes, and Brown received some of Greeley's electoral votes. After the election, Gratz returned to his law practice and affiliated with the Democratic Party. Brown was one of the contenders for the Liberal Republican presidential nomination, but lost to newspaper editor Horace Greeley. Brown was the vice presidential candidate under Greeley in the presidential election of 1872 for the Liberal Republican and Democratic parties. Greeley died on November 29 of illness, before the electoral college could vote, and the electoral votes (63 of 66) that were to have been for Greeley were split among four others, including Brown, who received eighteen of those electoral votes. The Republicans, incumbent president Ulysses S. Grant and the vice presidential candidate, U.S. Senator Henry Wilson of Massachusetts, won the election anyway. Wikimedia Commons has media related to Benjamin Gratz Brown.